Unpacking and installing a doddle, used the rotisserie with a chicken and worked perfectly, have only used a couple of the other setting so far but things looking good. Pizza option cooked a frozen pizza without a "soggy bottom" would reccomend this oven that was an inexpensive oven with lots of features, and looks good as well, plus soft close door added in as well." 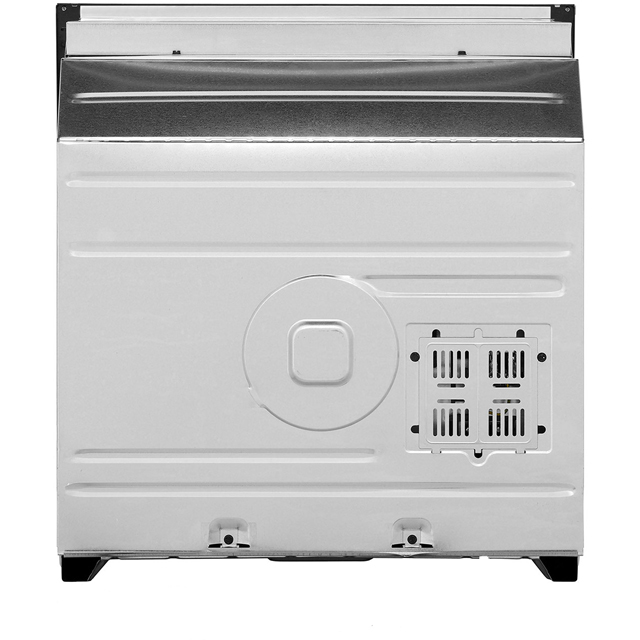 "We bought 2 of these to replace existing ovens and so far they have exceeded expectations. 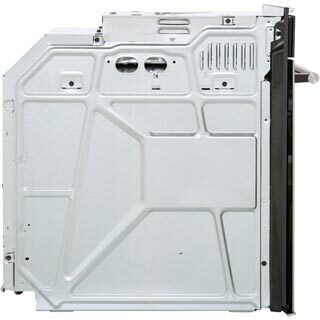 They are easy to install, set up and use. They have only been in for a few days but will be interesting to see how the self cleaning works." 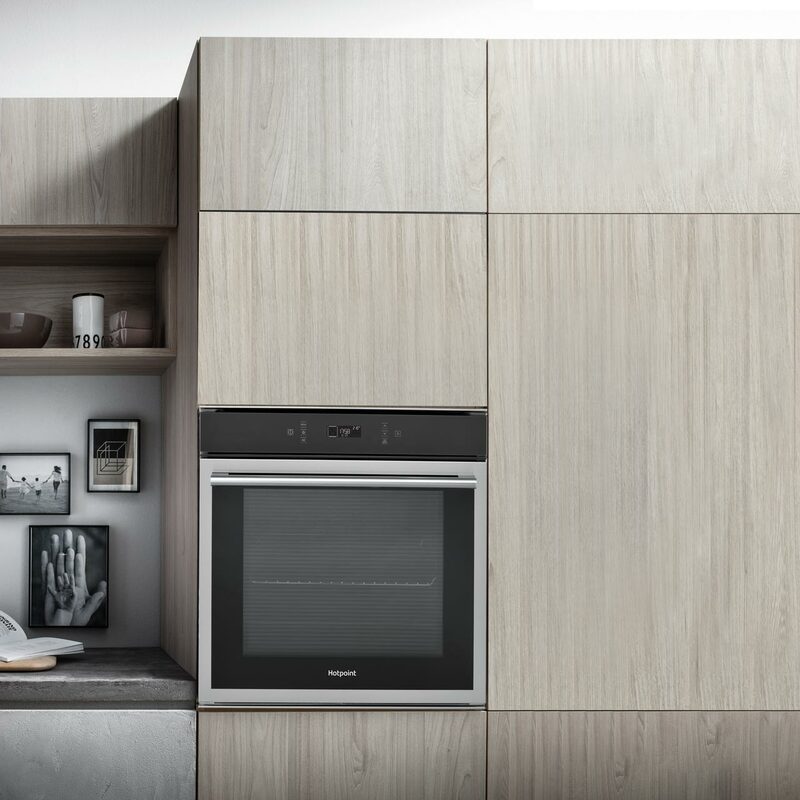 "So when you buy an oven your first thought will probably be how well does it cook? Wrong! 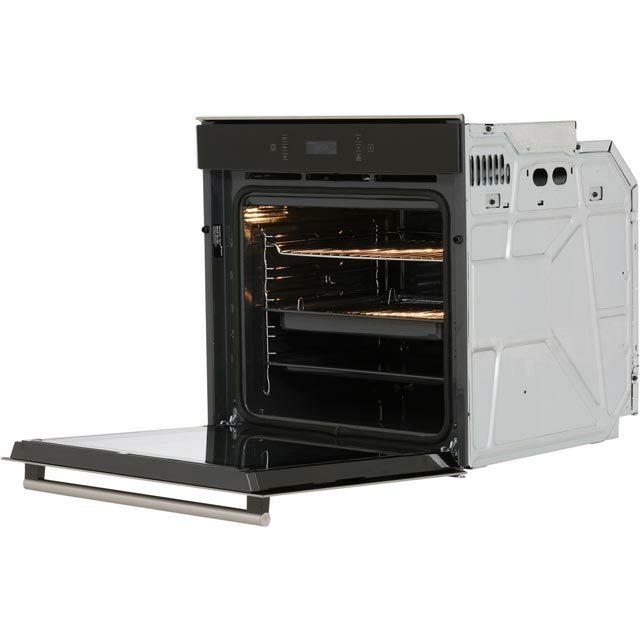 Think about how well your oven will live with you and you'll immediately see why this one is superb. With the touch screen, cleaning the exterior of the oven is easy. 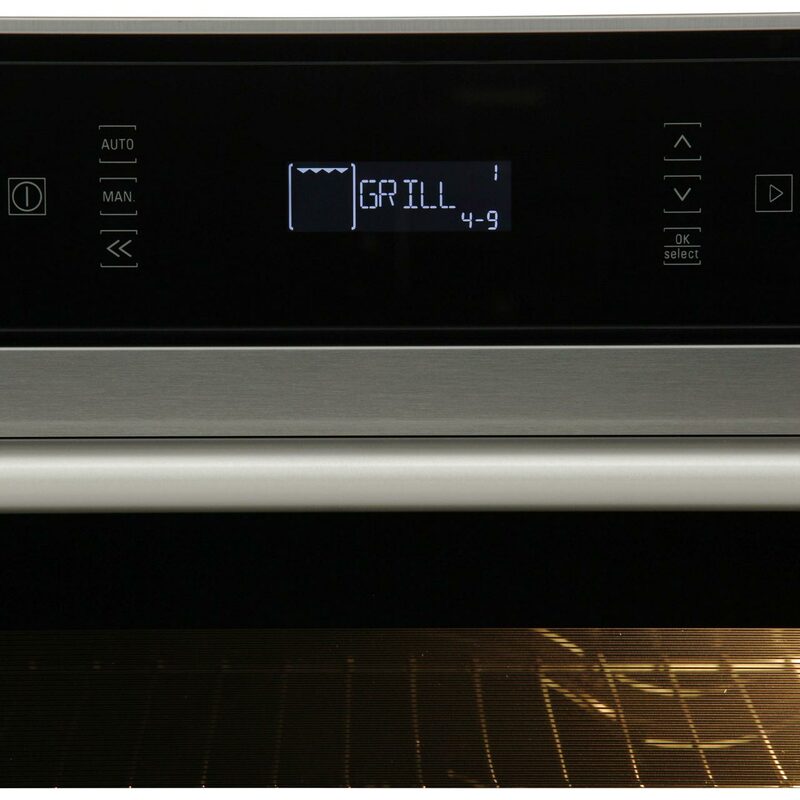 My last oven had knobs and a row of tiny thumb buttons which were impossible to clean around but this is just a strip of glass that can be wiped. It's also got the pyrolitic cleaning function so it'll burn any food residue and grease on the inside to dust. The interior light is also great and you can see through the door rather than having to open it to check if food is cooked. This isn't just an oven for cooking, it's one you can live with and love. On the cooking side it's got just about every setting you could ever want, including autosettings for things like baking bread. You might find it a bit complicated to start with as you have to scroll through menus but to be honest most people will likely default to manual convection and just adjust the temperature. Sure you can have timers to start and stop cooking and all the fancy features that are available but will you actually use them? If not you'll soon get used to turning it on, adjusting the temperature and bunging cold food in and getting a piping hot meal out! There are nice touches like the rotisserie for chicken and a drip tray, but only one shelf is supplied (If you are really desperate for another shelf Hotpoint spares are available!). The grill pan can double up as another shelf or just cook your roasties in either the grill pan or the drip tray. 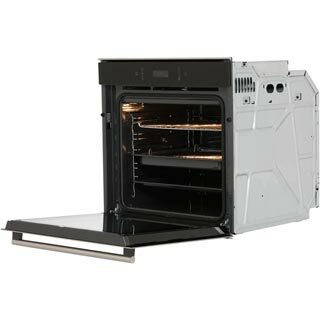 The oven interior itself is HUGE - the capacity is big enough for even the biggest Christmas turkey. 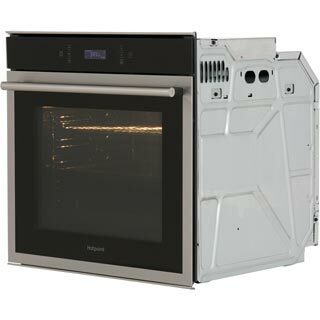 There is a mistake in the description that says this oven needs to be wired in by an electrician - not really as it comes with a moulded plug so if you have an available socket it's plug and go with just a couple of screws to fix it into the kitchen unit. 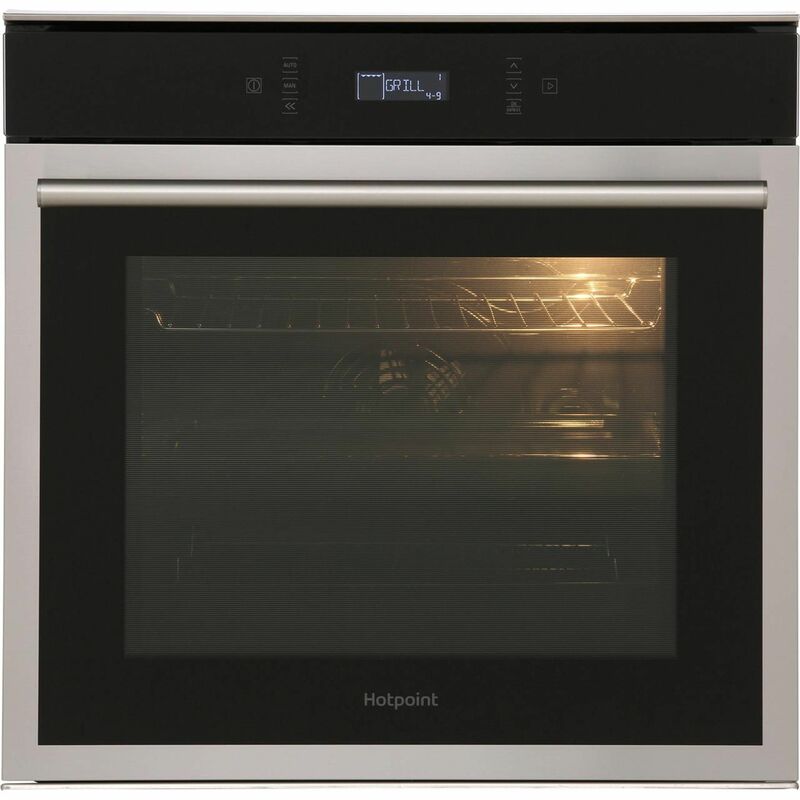 Unless you want knobs and dials to clean around and be down on your hands and knees scrubbing your oven clean then just buy this one! 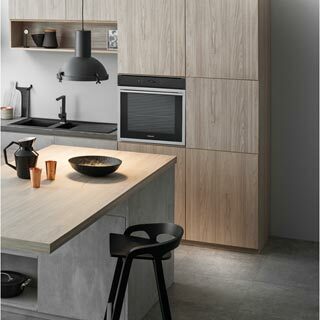 It cooks well and is dreamy to live with and it looks great." 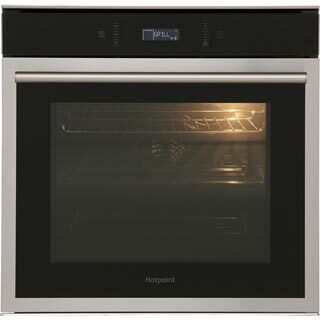 "Easy to install, great oven with lots of options and self cleaning. "Better than what I expected. It cooks beautifully. 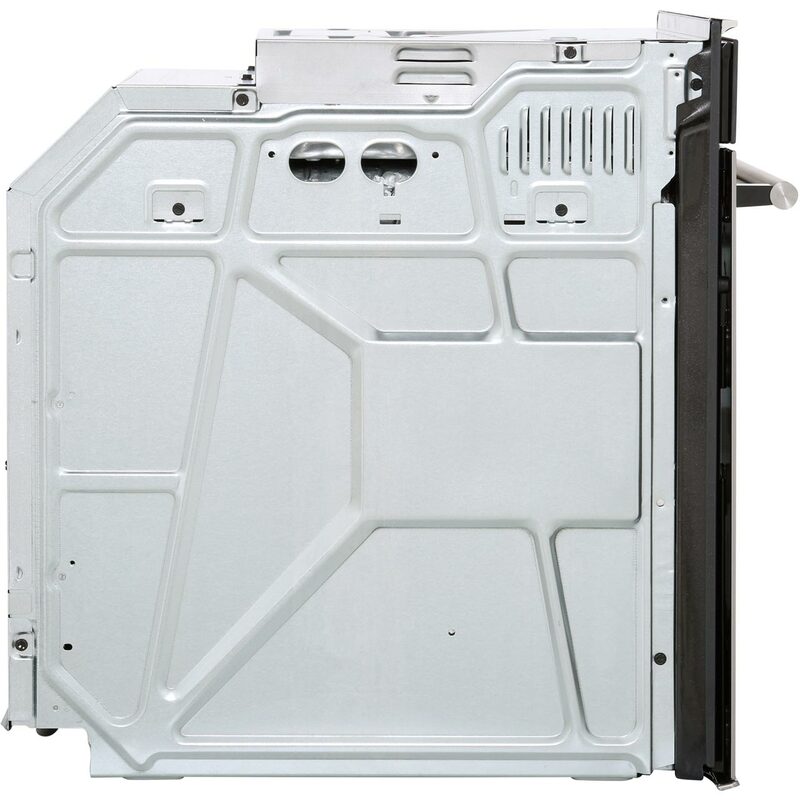 It’s is easy to clean and looks great"
"I bought this oven for my wife. She loves it. With the different functions and auto settings. It cooks food quickly and evenly. And can even do a spit roast, where it rotates the meat in the oven. I can't really say there is anything that is not liked about the oven. Well worth the money. I'm very happy i bought this model for that bit extra money."